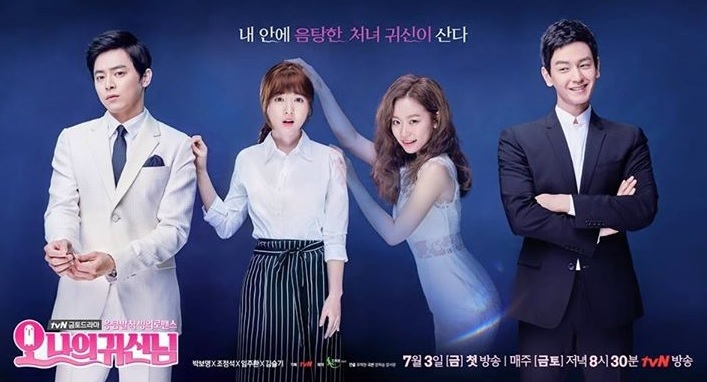 The past weekend marked the end of K-drama, Oh My Ghost! And also the end of my favourite on-screen couple, Jo Jung Suk and Park Bo Young (Also starring in Werewolf Boy). Anyone watching it? It was a really fabulous, relax and meaningful drama, I simply love it! For those who have no idea what this drama is; its about a girl who is possessed by a ghost and starts to seduce her chef who doesn't believe in ghosts. In the midst of it, they discover the real truth behind the ghost's death and realised how precious life is. Oh My Ghost! is my favourite K-drama of the year, a very touching and meaningful story that teach us not to always look at things on the surface and we should all do good :). Kang Sang Woo and Na Bong Sun (aka Bong Bong) is most definitely my favourite on-screen couple too! Park Bo Young's acting is truly commendable, she juggles well with her two personalities (Na Bong Sun and the ghost, Shin Soon Ae). And she shares such great chemistry with her co-star, Jo Jung Suk, who is really charismatic and cute in his character as Kang Sang Woo. I personally think it is also the awesome performance of Jo Jung Suk and all the other casts that brings out the best of Park Bo Young as her character in Na Bong Sun. Oh My Ghost! is not the very typical drama with love rival, revenge, etc. In fact there is none of these and all the other casts in the drama spice up the story as a whole. 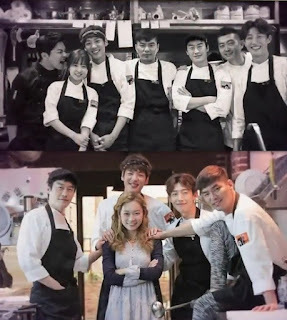 Other than the main couple, I also enjoy watching the humorous staff at the pasta restaurant (sous chef, etc). The entertaining relationship between Kang Sang Woo's mother and the Ajumma fortune teller is great together with Kang Sang Woo's best friend and his younger sister. 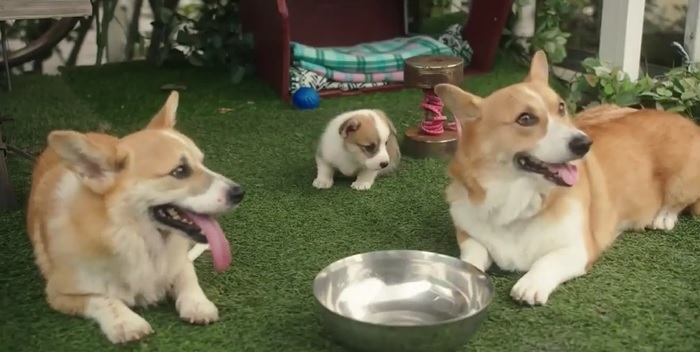 Oh, and the 'shorty' plumpy dog, Stalker, whom Kang Sang Woo pick up from the streets is so adorable! I would like to commend on Im Ju Hwan's acting as the 'villain' in the drama too, he actually has this very kind and innocent look in him, think this is the first time I watch a drama with him playing the bad guy and he did well. The 'ghost' character, Shin Soon Ae ( starring Kim Seul Gi) also touches me with her love for her beloved father and younger brother. Her bubbly and positive personality really cheers me up! She always says "Love lots while you still can". 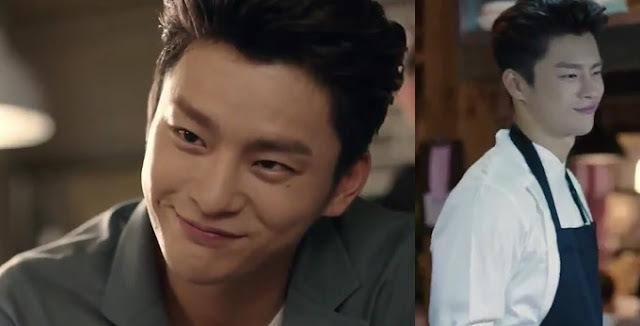 And not to forget my dear Seo In Guk cameo in the last episode of Oh My Ghost! as sous chef. A very arrogant (yet cute ^^) guy who came back from aboard, Edward Seo, lol! I so very enjoy watching on-screen couple Na Bong Sun and Kang Sang Woo together, they are really cute! Cannot believe they are 10 years apart in real life. Everything they do together is so natural, sad to see it end...hope that they will work together again in another drama in future. Would highly recommend all to watch this K-drama couple in Oh My Ghost! if you have not catch it, its really good and I so loving it! If only people knew when death was coming and could say goodbye. How nice would that be? It's just not possible and that's why life is this way. That's why you've got to live each day hard like it's precious. As it always does, the season change. And the days are filled with routines. That summer...because of that girl who came and went like a summer night's dream. We got to know love and realised how precious relationships and people are. Just like she had advised me, I continue to love myself fully today. And...I love him, as well. 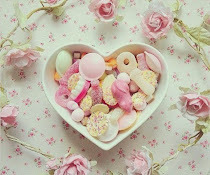 Enjoy watching dramas, music & reading. Do check out the list below ↓ for more dramas, movies, variety shows and novels. Copyright © 2010 - 2019 Seoul In Love Now. Powered by Blogger.